After we have wrapped up negotiations with their insurance company I will often ask my clients to provide me with a few words describing their experience. Today I was gifted with more than just a testimonial and recommendation … but an education. I thought I would pass it on. After a few hours of being away from the house running errands we arrived home to find water POURING out of the ceiling of the main floor of our house, only to find out that a water pipe had burst on the 3rd floor of the house which resulted in flooding all 3 levels of our house! Since I had never filed an insurance claim before, I was under the impression that the insurance company was on my side, therefore would take care of the damage on the property I had been paying them to insure…after all, this was MY insurance company, right? I soon found out just how wrong I was!! The insurance company’s adjuster came out about a week after the pipe burst, and inspected the damage to the house, then we anxiously awaited his figures so we could begin the work and get our family moved back into our home. We were shocked at that point to find out that the insurance company only wanted to pay us $11,000 to fix all 3 stories of our flooded home!! I immediately called my agent for help, and despite his good intentions, I quickly discovered that no matter how well you know your agent, and how good you think they are, they have absolutely no pull with the large insurance company. It was at this point that I knew the insurance company had no interest in helping me, and realized I would have to help myself, so I began searching the internet for options to help with insurance claims. When I began doing research online for help with my insurance claim, I discovered the profession of a “Public Adjuster”, which I had never heard of before. I found a few different companies online, and began calling around, as I wanted to ensure I found someone that was reliable. I was not impressed with the large companies that covered the entire US, as they just treated you like another number…I did not feel that they would provide the personal level of service that I was looking for to address this major event that I had going on. I then called Mr. Bushart, who personally answered the phone, listened to all of the problems I had, then explained how he could possibly help me. By the time I got off of the first call with him I was very relieved…I finally had found help!! I have to admit though, at first I was leery of committing to pay the fee a public adjustor charged, so I thought about it for about a week before I committed to hiring Mr. Bushart, but in the end, I would have been more than happy to pay him twice as much as he charged. Not only due to the eventual insurance payout of nearly quadruple their initial estimate, but more importantly because of the personal level of service he provided. He actually made two 9 hour roundtrips to my house…first to view the damage, which I expected, but then he came back the second time when the insurance company sent their adjuster back out to address the discrepancies between their adjuster’s estimate, and Mr. Bushart’s estimate. I was very glad that he did make it back the second time…it was worth every penny I paid to be able sit there and watch Mr. Bushart use his vast knowledge to shoot down the insurance company’s arrogant adjuster! I hope to never have to go through another insurance claim again, but if I do, I will call Mr. Bushart in on Day #1! I am very grateful to Andrew for helping me to better understand what it is like to be in his shoes during such a tumultuous time in his life and how he came to hire me. Sorry it took so long to get this to you, but here is my story, feel free to take any or all of it to put on your website…I had trouble condensing it into a couple of sentences. Also, don’t ever hesitate to give any of your potential clients my phone number if they have any questions about how great your service is! A proposed revision to Missouri law will further restrict Missouri contractors from being involved in residential and commercial insurance claims. Read more: Should your contractor represent your interests regarding your insurance claim? As a very busy summer draws to a close, here are some of the highlights from the season’s most interesting claims. 1. The insurance company had delayed a response to a fire claim for six months. The home owner called me and soon after received an initial payment of $111,000.00 which, upon further review, was underpaid. We recovered an additional $14,000.00 a few weeks later. 2. The insurance company denied the church’s claim for storm damage to its steeple and interior. 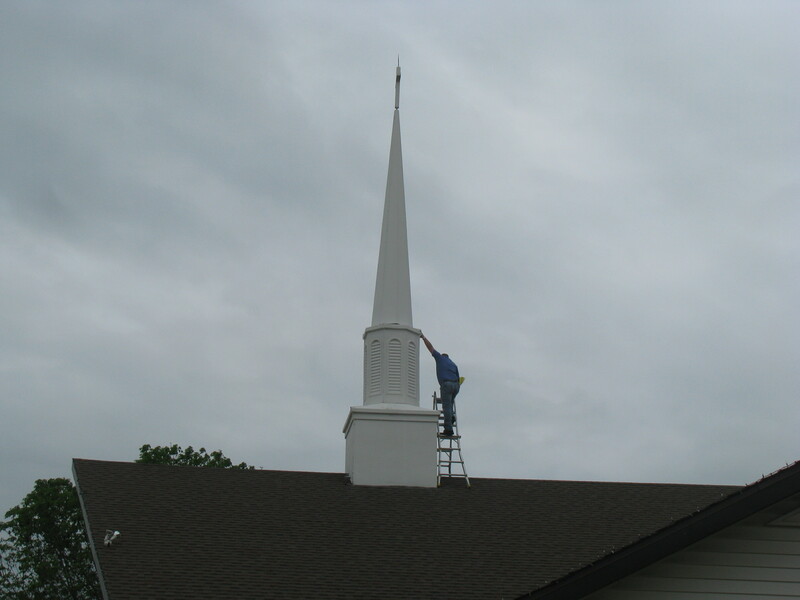 Their roofing contractor referred them to me and we soon recovered the full amount to repair the steeple, repair the damage to the interior of the church and to replace a section of the roof. Damaged by 100 mph wind, this steeple was allowing water to flow into the church. 3. 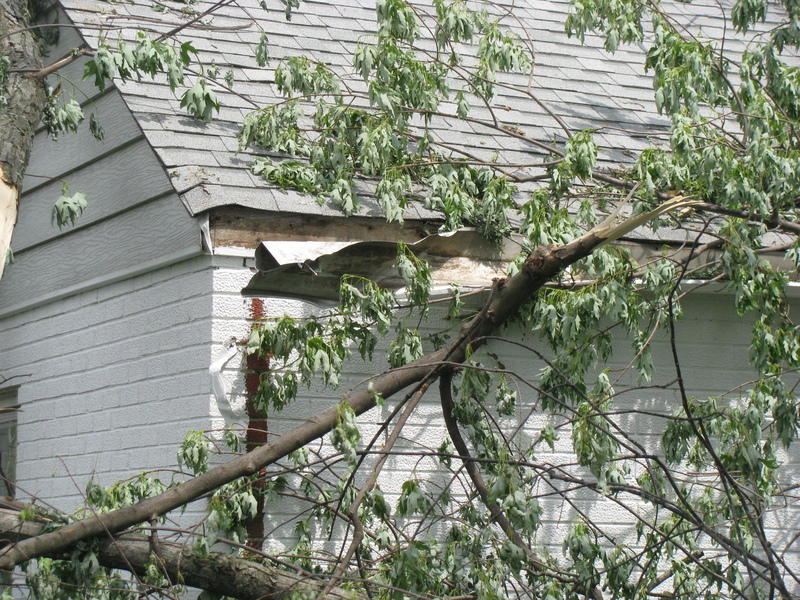 The insurance company denied a claim for damages to a home caused by a dishonest contractor. His financial advisor referred his client to me and we turned that “no” into a check for $10,000.00 and a waived $5,000 deductible (total value, $15,000.00). 4. The insurance company denied a claim for hail damage to his roof and my client’s roofing contractor referred him to me. We turned that “no” into a new roof. 5. The insurance company had refused to address the storm damage to her home and my client was referred to me by a friend. In a matter of weeks, we turned that “no” into a several thousands of dollars and a new roof. 6. The insurance company had said “no” and denied coverage to a storm damaged deck. My client was referred to me by a real estate agent. We turned that “no” into $16,400 for a rebuilt second story deck. 7. The insurance company had denied his roof claim stating that the storm with golf ball sized hail did not damage his roof. My client called me after finding me on the internet. We turned that “no” into over $21,000.00 for a new roof and gutter. We did well on many other storm, theft and fire claims, as well. I’m looking forward to Autumn.